← Welcome Sports Illustrated readers! 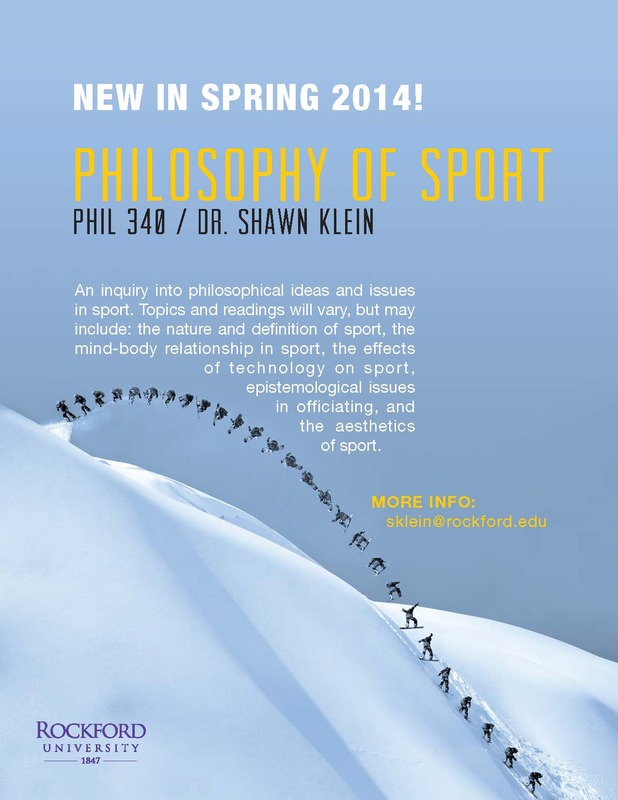 The Rockford University Philosophy Department is offering a new course this spring: PHIL 340 Philosophy of Sport. 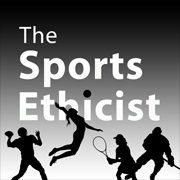 An inquiry into philosophical ideas and issues in sport. Topics and readings will vary, but may include: the nature and definition of sport, the mind-body relationship in sport, the effects of technology on sport, epistemological issues in officiating, and the aesthetics of sport. The course will be using Heather Reid’s Introduction to the Philosophy of Sport (Elements of Philosophy) as well as supplemental articles from the philosophy of sport literature. The course does carry a pre-requisite of a previous philosophy class. Of course, if you have taken my Sports Ethics class, then you have satisfied this requirement. The course meets T/TH, 1-2:15 pm. Please contact me if you have any questions about the course.